You may find many famous white and red wines around the globe, such as Cabernet or Merlot. However, Pinot Noir is making headway when it comes to popularity. You don’t have to have the skills of a wine expert to have the ability to choose a good and authentic Pinot Noir or determine if it has a taste of vanilla or a little cocoa flavor. If you love red wine lover, you might want to get acquainted with Pinot Noir. Wine enthusiasts describe Pinot Noir as “softer” than a Cabernet. 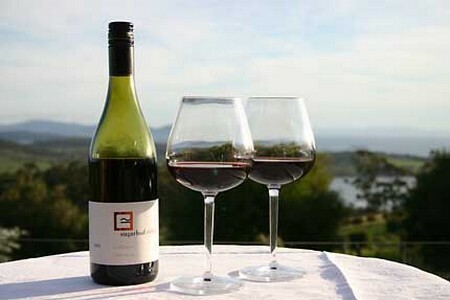 You must have the ability to distinguish how a Pinot Noir should taste and how its color is defined. A little less bold than a Cabernet, Pinot Noir has a lighter, fruity flavor and color. Technology often plays a very important role in wine production today, making the process faster and standardized. Nonetheless, if you understand how a winery produces a wine in the “old ways,” you will notice that it will produce a lighter-bodied wine with little trace of fruit. As you determine and discover how Pinot Noir is produce in the “old ways,” you must learn how to find out and tell the difference between that and the “new style” or modern method. Basically, it produces a more full-bodied wine with distinguishing characteristics of fruity flavor. Pinot Noir is also a grape name, referring to one that grows almost anywhere in the world but nonetheless remains one of the hardest kinds of grapes to breed, resulting in less production and sometimes a shortage in the market, making it a bit expensive compared to other wines. Growing a Pinot Noir requires your full attention; it needs extra nourishment and care until such time that you harvest it and start processing the actual wine making. Knowing how to recognize this will make help understand that Pinot Noir is one of the most distinctive and expensive wines. Research the regions that grow Pinot Noir grapes. Several factors affect how this grape develops, and you need to know them to understand why wineries must treat the fruit well since it needs more time and care during its main growing days or months. One important factor that affects growing Pinot Noir is the climate or temperature, whether night or day time. This contributes to how the grapes ripen and produce necessary compounds to make a good wine. Identify the growing region. The grapes must grow in the right region and in the right climate. This proves necessary to get the desired result, produce the right flavor and color, and eventually achieve a distinct style. Determine your own favorite Pinot Noir. Some Pinot Noir tastes absolutely good for most wine experts, but it might not fit in with your type of taste. Choose your own Pinot Noir according to your liking.